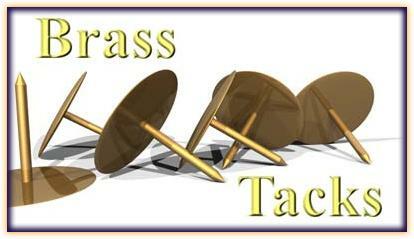 Welcome to Brass Tacks Sunday. This is the day when Jesus makes clear – crystal clear – what he has done and what he expects of us. And what has he done for us? We did not choose Jesus. Brass Tacks: We have been chosen. And why did Jesus choose us? Because Jesus has a job for us, a mission for our lives. To love one another as Jesus loved us. Brass Tacks: We are chosen in order to love our neighbors. Not just as ourselves … because if we are honest, there are far too many days when we don’t love ourselves very much. We all know those times. For many of us, when we stop on the scale. When someone makes a snide comment about the clothes we’re wearing. Or the work we do. Or the car we drive. Or what we eat. Or don’t eat. Or drink. Or don’t drink. Some days, it takes so very little for us to stop loving ourselves. Which is why Jesus doesn’t ask us to love our neighbors as ourselves. 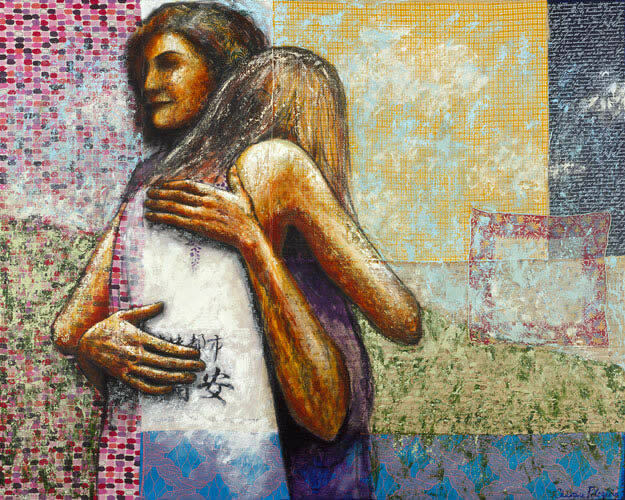 Jesus asks us – no, he commands us – to love one another as he loved us. All we do is argue, it seems, and for the life of me, I can’t figure out why. 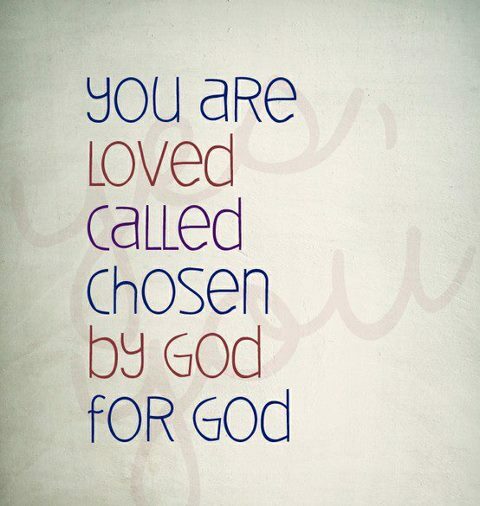 Because Jesus is crystal clear: I chose you so you can go love one another. I’m going to say something here, and then I’m going to have to correct myself right away. For 17 years, I owned two cats. Here’s the correction: For 17 years, the cats owned me. Anyone who has ever lived with cats know that to be the truth. The older cat was named Boomerang. She was truly the Queen Witch of the household, and she never – ever – let you forget that. The younger cat, who was 14 when I left to go overseas, was named Riki Tiki Tavi ( actually, Rrrrrrrikiii Tiki Tavi, because that’s how it is said in the book). These two cats clearly ran the household, doing exactly what they wanted. And why not? They were cats, and they knew that they were born without original sin, whereas we, the mere humans, were born with original sin, and they never let me forget that. Meanwhile, I am convinced, down below, the crickets would gather, and one would cry out, “Who will go up into the light, and then come back to tell us what is up there?” And each night, the crickets would send up one – one – representative, and Boomer and Riki would catch it and play with it – because that’s what cats do – and eventually kill it, and the next morning, I would find body parts strewn around the house, usually placed exactly where I would step on them barefoot. For years, I was under the impression that the cats were bringing me tribute. That’s what the animal experts told me, and I believed them – although why I did I don’t know, because remember, the cats thought they were superior to me, so why should they bring me tribute? And then I read some new information. It turns out that the cats were not bringing me tribute. They were actually trying to teach me to hunt! That’s right, they were trying to teach me! It’s called the Mama Lion Method of Ministry. You’ve seen the Animal Planet shows, right? Well, if you watch that show, you’ll see, in great detail, how Mama Lions train their cubs to hunt. When the cubs are small and still nursing, she’ll bring them pieces of the animals she kills, not so that they can eat, but so that they can play with the carcasses and, frankly, get the taste for blood. When the cubs are a bit older, and on the verge of being weaned, she’ll take them to the hunt, place them in a hidden and safe spot, and make them stay still, so they can watch and learn. And let me tell you, if they so much as move, she whaps them upside the head to keep them in line. 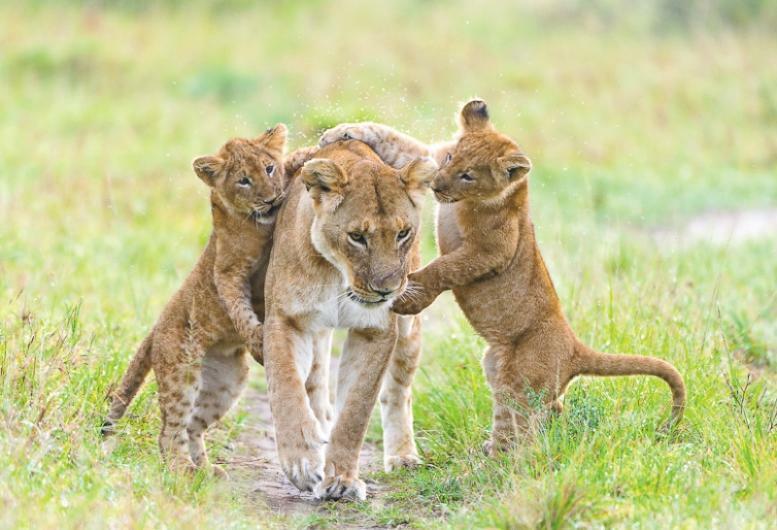 After they’ve watched and learned, the Mama Lion helps them hunt. She’ll pick out the target animal – something small and weak, usually – and help the cubs take down the animal. Once they’ve gotten used to hunting, and had some measure of success, the Mama Lion will go to the hunt with them, but now, she’s the one who settles in on the sidelines. She may direct her cubs in picking out an animal to kill, but she won’t do a thing beyond that to help them. Because it’s time for the cubs to grow up and feed themselves. She’s got other things to do – have more cubs – so she lets them feed themselves. And isn’t that what Jesus did for his disciples? And for us? Didn’t Jesus teach his disciples how to preach? And teach? Didn’t he show them how to heal the sick? Didn’t he teach them to pray? And not just any prayer, but the prayer, the Lord’s Prayer, giving the disciples, for the first time, an intimate way to talk to God on high? Didn’t he send them out to do all these things, not alone, but two by two (because we are never alone in our ministry)? Face it, folks: Jesus used the Mama Lion Method of Ministry to teach his disciples – to teach us ­– how to love our neighbors not as ourselves but as Jesus loved us. Jesus chose us and taught us so that we could love just as deeply, just as broadly, as he loved us. Now I know this sounds rather simplistic, and I know people say (because they have said it to me repeatedly), “That’s nice. But what does it mean? It’s too vague.” As though love were something hard to understand, hard to give, hard to receive. As though Jesus differentiates between those he loves, and those he doesn’t love. Jesus is not suggesting we live in love. Jesus is commanding that we do so. He has chosen us – us – to carry on his mission in the world. This is now our mission in life. Not just the people we like, not just the people we know, but everyone. Regardless of race or religion or ethnicity or nationality or gender or orientation. The good news for us this morning is that as Episcopalians, we not only know what we are supposed to do, we know how we are supposed to do this. Because we have the Baptismal Covenant, which lays out for us the steps we need to take so that we indeed can love one another as Jesus loved us. Take our your prayerbooks and look it up. Turn to page 304. To continue in the apostles’ teaching and fellowship, and the prayers. Tell me: How many of you say prayers before you eat? And how many of you pray in public before you eat? That’s what we have vowed to do, remember. We break bread together at this table, welcoming all, sharing all that we have with each other. We know how to repent of our sins – we’ve done the Hokey Pokey in this very church, have we not? We serve others … instead of demanding to be served. We work for justice and for peace … and not for our justice and peace, but for God’s justice and peace … even if it means that some will deride us and question our motives. And we respect each other … always. Yes, this is hard. It’s very hard to love someone, especially when you don’t like them. But there is nothing vague about loving. We either love or we don’t. 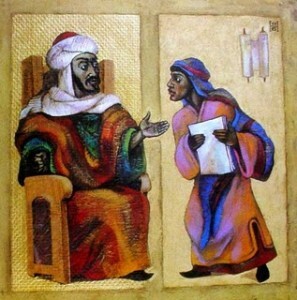 Sermon preached on the Sixth Sunday of Easter, 13 May 2012, Year B, at the Church of the Good Shepherd, Blue Grass, Va.